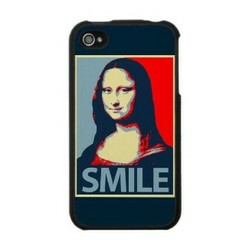 Learn how to create your own custom cases for Iphone 4 online and even make money with your designs on Zazzle. In this helpful guide you can learn how to create your own custom iPhone 4 cases online on an awesome site called Zazzle. You can find some awesome examples of already made iPhone cases, follow my instructions to create your own and also learn how to make money online with your designs and custom iPhone 4 cases. Custom cases for iPhone devices are awesome for gifts so if you have some friends with iPhones you can design a case with their words and images. You have a lot of different designing options while making your products and you have many promotional tools when it comes to making money on Zazzle with your designs and products. Creating your new custom iPhone 4 case is really easy. You can go directly on Zazzle and start creating it or check out my instruction listed below first. Zazzle also offers great guides and provides a lot of helpful resources so you can create awesome cases for iPhone in no time! If want to make some money with your new designs you can scroll down and find out how to make money on Zazzle. But if you don't want to create your own products you can always buy some existing products. You can find some of them by following the links further in this article. Zazzle allows you to create your very own stores for free, create your designs, add them to products and sell them online. You can upload you pictures and add texts, you have free hands when it comes to designing on Zazzle. And you can add your finished designs on more than 150 different products. And iPhone 4 cases are one of these products. There are several different cases for electronics you can create, such as iPad cases and BlackBerry cases. If you don't want to create your own custom cases you can always check out some other designs that others have created and find the right product for your needs. Designers on Zazzle created more than 3000 different iPhone 4 cases so you can really find one that fist your style and needs.